I’ve dubbed this post a face off between the Paris Hilton of cakes and the fugly, but flavoursome Miss Piggy: one is heavily accessorised but with not much else going on. And the other? It won’t win any style awards... but its bones are good, and the meat on those bones even better. Let me explain. So, I fell for this red velvet layer cake I spied in donna hay magazine, because it looked like a work of art (all her food is, as she’s a genius). Here you have a red(!) 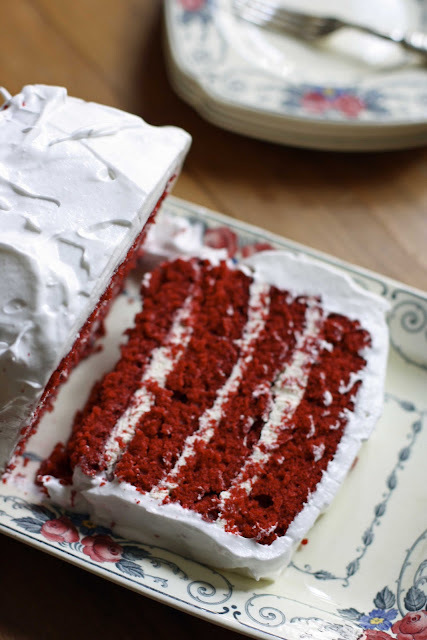 cake cut into layers, sandwiched with butter cream, and then coated with meringue icing. As if I could resist! But but but... not for the first time have I been seduced by looks alone (shallow, aren't I? ), and the experience of making this cake felt much like when I buy that pair of killer heels in the window, slip them on and then try and do something basic... like walk down the street. You know the look. Any shred of sophistication is obliterated by the awkward challenge of staying upright. I digress, but it struck me mid-baking that this cake was just as excruciating, and it has ended up teetering at almost the same angle as I have on occasion. Ok, so the execution of the cake is (probably definitely) my fault. I departed from the instructions, which said to layer 3 levels of cake. However my cake didn’t rise enough for that to be an option, even though I followed the recipe. It is my oven, is it the recipe? Why is it so? Not easily answered when you don’t have the creator on hand and you’re faced with a slab of cake, so I went for four. 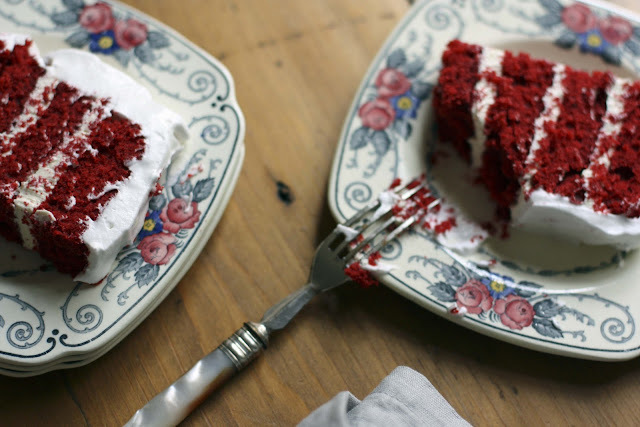 But where I really came undone was how to ice the cake with raw meringue, and then transfer it to a serving plate without the meringue sticking to knives, plates, me... aaargh! And it just didn’t taste like anything much. Kind of a symphony of buttery cream, barely there cake and glossy meringue. Bland layered upon bland. It also took a long time to make because of all the processes, though it might just be that time tends to stand still when you’re having to beat a butter cream for 15 minutes – kinda up there with light years travelling across the universe. However, I think kids (if not their parents) would love this cake anyway, because of its postbox-red colour and the meringue, which has the extraordinary capacity to glop in all the obvious places – fingers, pinafores, chins, the floor, and probably in places you’d never think to look and would hope you’d never have to, like behind cushions and under couches... so it’s clearly great for food fights. And for that reason alone, go to donna hay magazine Dec/Jan 2011, issue 54. And my lesson? Some cakes should only recline gracefully in the pages of magazines and some shoes should only exist for stepping out of limousines (as Paris no doubt has harvested from her life experience (and the prison stint where she must have had time to reflect)). because here is its polar opposite, and the real reason I’m here today, (barefoot) in the kitchen. Yeaaah. She ain’t pretty. 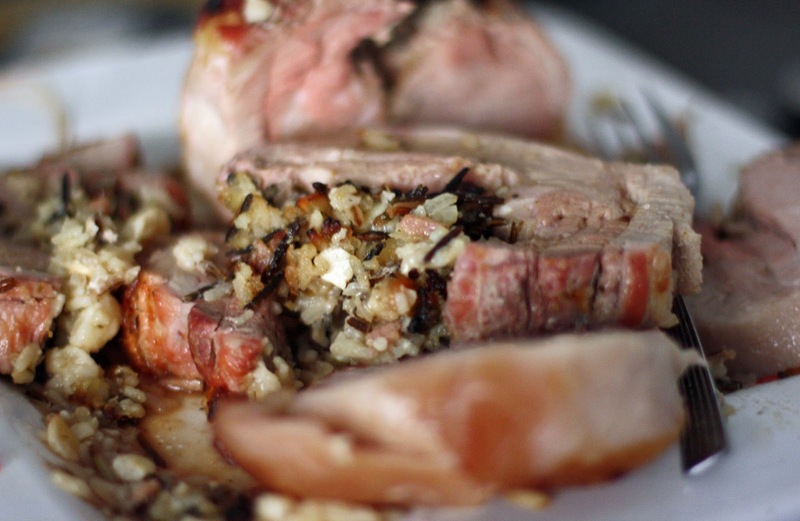 But this is my vote for the best stuffed pork loin recipe I have come across in all my years of cooking. 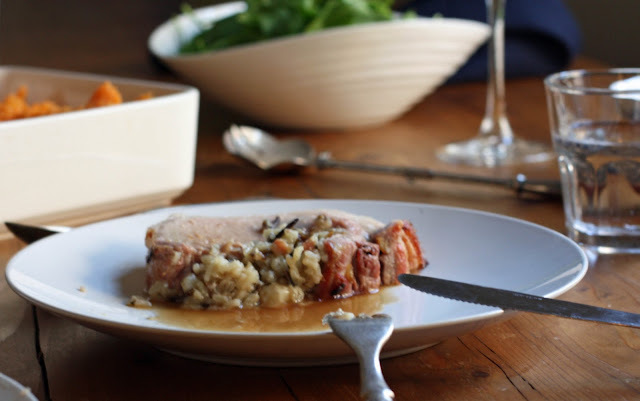 If you’re tired of the staid marriage of pork and apple sauce, this is a rock star alternative with its wild rice and macadamia nut stuffing, intense sweet redcurrant jelly-based sauce, accompanied by a sweet potato mash and baby spinach salad. Heat the olive oil in a saucepan and add garlic and onion, stirring over low heat for 5 minutes. Add bacon, rice and herbs and stir. Then add the stock and bring to the boil. Immediately lower heat to simmer, and cover, for 15 minutes, or until rice is tender and the stock is absorbed (I found this actually took about 20 minutes so judge according to how tender the rice is). Then add the macadamias, stir and season. Set aside to cool. Heat your oven to 200C. Cut 5-6 lengths of 30cm pieces of string and place them at 4cm intervals on your bench. Trim the fat from the pork, and place the loin skin-side onto the bench (and lengths of string). Spoon the stuffing into the middle of the loin and spread it length ways along the loin. Roll the pork up and tie up. Grab a roasting pan with a wire rack and place the loin, stuffing side up, and roast for 1-1/4 hours, or until the pork is cooked. Remove from the pan and rest for 15 minutes. Get rid of the fat from the pan and add chicken stock and the redcurrant jelly to the pan juices and stir over low heat for 5-10 minutes until reduced. The longer you reduce the sweeter the sauce will be. Strain. Meanwhile, cook the sweet potato in salted boiling water until tender, and then drain, and mash with olive oil and butter, and season to taste. Slice the pork into 6 portions, and serve with the redcurrant sauce, the mash and a salad. A Gourmet Traveller recipe from a decade ago, it has never failed me and was my first step up into the world of dinner parties. As you can see, pretty doesn’t always make it to the plate. Sometimes fugly crashes the party. But with a glass of wine and a good vibe no-one cares. 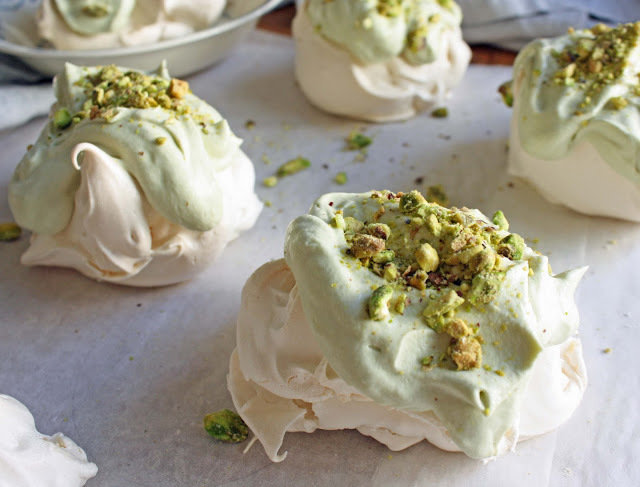 Italian or French meringues? Or Swiss? This is what a very good friend – who also happens to be one of those cooks who seemingly pulls off complex recipes in a breezy 20 minutes after the guests arrive – asked me when I said I was revisiting my failed meringue and green tea cream recipe now I have a new oven (yay). To which I replied, huh? Well, now after a bit of research I can definitively say these meringues are French. They are apparently the easiest to make in the meringue canon and are all marshmallow-y pillow-y inside. 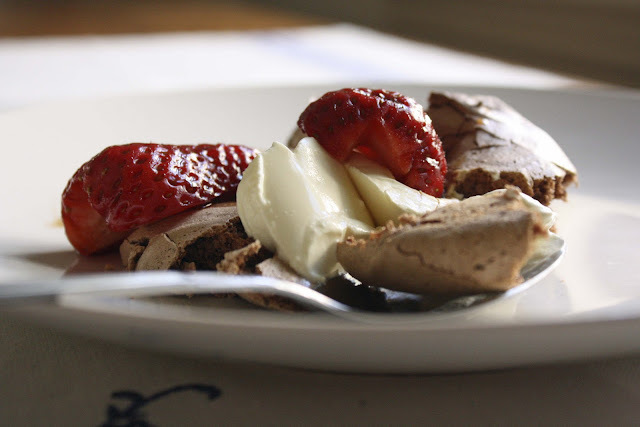 I chose this recipe, because aside from the ‘meringue for beginners’ tag, I’m partial to the marshmallow inside (and I love France). It reminds me of the pavlovas my grandma would make when I was a little girl. 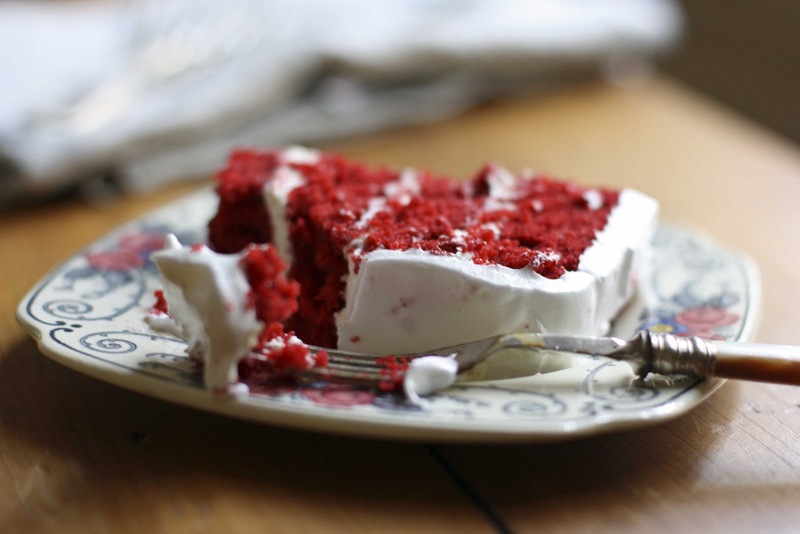 She’d serve it to me with chocolate cream – not too laden with sweetness. You could still taste the vein of cocoa and it was perfect with the sugar bliss bomb of meringue. It is the same effect with the green tea cream and pistachio combination, and I love it because it's so unexpected. Preheat the oven to 150C and line a large baking tray with baking paper. Separate your eggs, and place the egg whites in a large bowl (it’s vital the bowl is clean and dry otherwise the egg whites won’t aerate). Add a pinch of salt, and then with a whisk or an electric beater start beating the egg whites slowly. They should start to froth up and thicken after about a minute. Increase speed and beat until they form stiff peaks. Then add one tablespoon of sugar at a time, whisking after each one, and beating continually until you have thick, glossy white meringue. Add the vanilla extract and whisk in. On your tray, spoon 6 even apple-sized mounds of meringue spaced well apart so they can spread while they cook. Don’t worry if they look kind of messy with curly flourishes every which way - that’s part of their charm. Place the tray on the middle shelf of the oven and lower the heat to 120C. Cook for 50 minutes and then turn the oven off and leave them in there until they’re cooled (this prevent them from cracking). Pound the pistachios with a mortar and pestle until you get a half and half mix of nuts and meal. Whip the cream, icing sugar and matcha together until thick and dollopy. When you’re ready to serve dollop a generous serving of cream on each meringue and scatter the pistachio mix over the top. So, this kinda feels weird, just writing and putting this out there, but here goes. 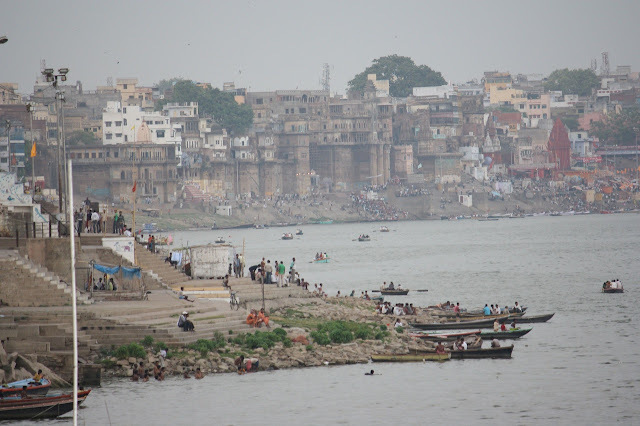 Yes it’s another food slash travel slash wherever the wind blows kind of blog. But as it has been concocted from a (ahem) sound philosophy (see below), the best of intentions, and by a hostess who means business with a whisk, a prayer, and some quirky hospitality, I’m hoping you might stay awhile. Welcome to Sydney, Australia, home of a heart stoppingly beautiful coastline, and obsessed foodies. I’m an excitable home cook – sometimes spectacular, sometimes a spectacular failure. In the past I’ve blamed my gas oven for the latter. An ancient Kooka, it once cremated my meringues (robbing them of their destiny to be slathered in green tea cream and pistachios) and then went on strike – taking two hours to cook lamb cutlets (for no apparent reason), leaving nine hungry friends grazing the olives and sinking the gin. Quelle un catastrophe! (Well, sort of.) This had been going on for some time along with some other unwelcome groundhog day moments, and my response was to say enough, already. It was time to toss the oven which I did, but it also coincided with some tossing of some other things as well: a player; the daily grind for six months to go travelling and writing; and the career girl in favour of fledgling domestic goddess-like behaviour... And thus the adventure began. and then a lot of whipping up of things such as this. I also had a lot of time to think... perhaps too much. 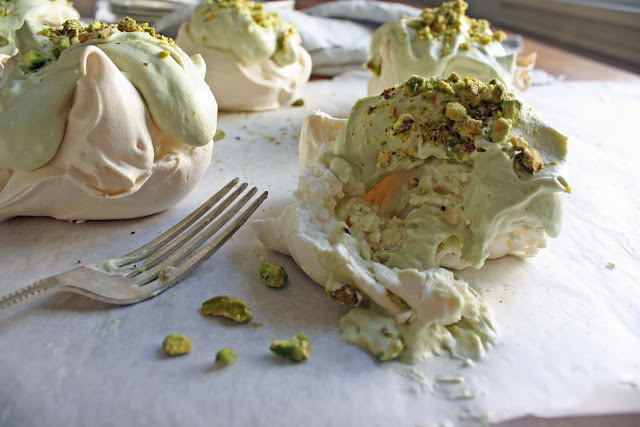 Because I decided I wanted to create a space where I might share some recipes and wanderings, and wonderings, and once decided, the name of this random flit through all of the above just popped into my head: The Tao of Meringue. Yes, that’s right. 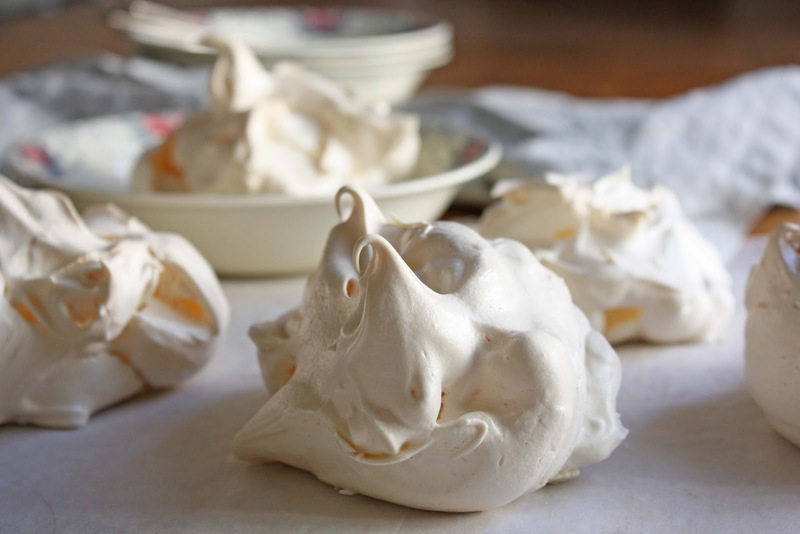 I thought up the name, and actually this entire blog caper, while mourning those sad, charred meringues, because it seems to me that Meringue and the metaphysical concept of Tao, or ‘the way’, actually have a lot in common. 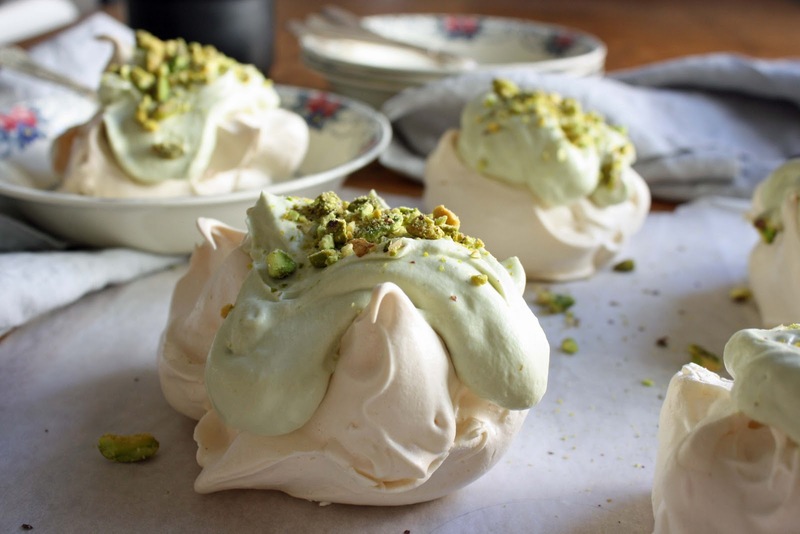 Meringues, well, they’re very tricky to get right (particularly in heatwaves like in Sydney last month), and the way is fraught. Success is not guaranteed even when following the recipe. 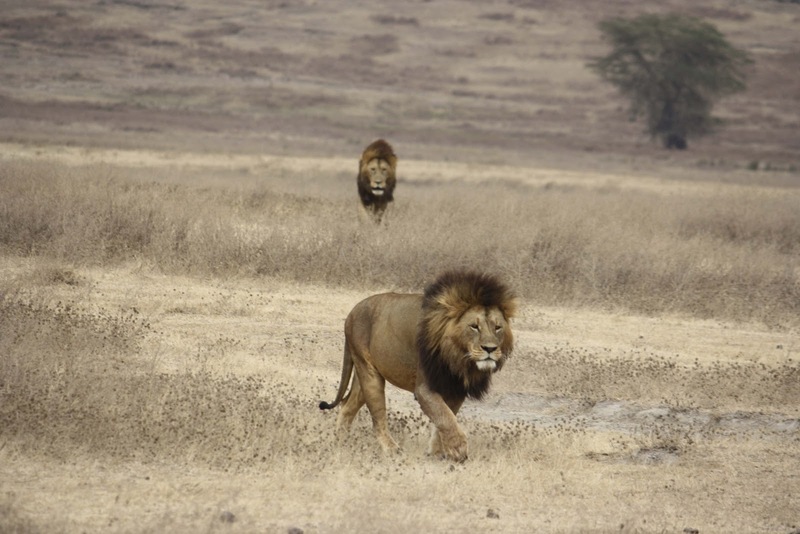 It’s requires you trust your instincts, more than your skills. But when all the elements come together and you get your timing right, something divine happens. When it doesn’t, well, life gives you incinerated meringues... and we all know what that resembles. I’ll be posting once a week, and I hope to include at any given time a menu that includes a starter of ideas, a main of yummy recipes, a shot of wanderlust, and occasionally a side of culture. Oh, and for the record, I'm not really a big dessert person. It is when everything teeters on the edge of ennui or god forbid, a spasm of existential angst (in life, art, etc), well it’s at those times when a leap of faith is required, and I will bring forth the egg-white incarnations: souffles, pavlovas, meringues, angel cakes, macarons... basically because I find their existence almost as improbable and lovely as finding myself here.